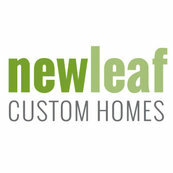 Newleaf is building our new home (approx. $1M) in Dallas, and they’ve been nothing but professional and personable. Accent Landscape has designed and installed several landscapes for New Leaf Custom Homes. They are very personable, professional, and a pleasure to work with. Thank you so much, Barbara! We thoroughly enjoyed working with you as well!